“Made in Canada”. Nothing feels quite as satisfying as a ‘home run’ in terms of engineering capability being done right in your backyard. Peachtree is sort of on the comeback trail after a few years that culminated in the return of a former founding member, David Solomon, some tasty new high-end products, and this, the Shift, their first foray into the portable audiophile market. I can remember 3-4 years ago at a few headphone meets people whipping out their Peachtree gear with their wooden finish and clean lines front panel which gave off more than a whiff of refinement from the get go. Peachtree was, and still is, interesting. Back then concepts such as OTG and iOS driven portable audiophilia was still niche game for most manufacturers with perhaps only Cypher Labs recognizing the unlockable potential of bypassing the weaker DAC/AMP systems on the omnipotent iPhone. Until this point, you had to basically dock your DAP and sit down. Cypher Labs Algorhythm Solo iOS DAC in 2011 was a game changer of epic proportion. Now you had transports in iForm which was quickly followed by OTG and Android transports. Companies started to churn out iOS and OTG compatible Amp/DAC’s of all shapes and sizes. Finally, you can move around and get the same technological capability. So look what is happening! Not only are people getting their music online, but they are playing it on the go and in huge numbers. 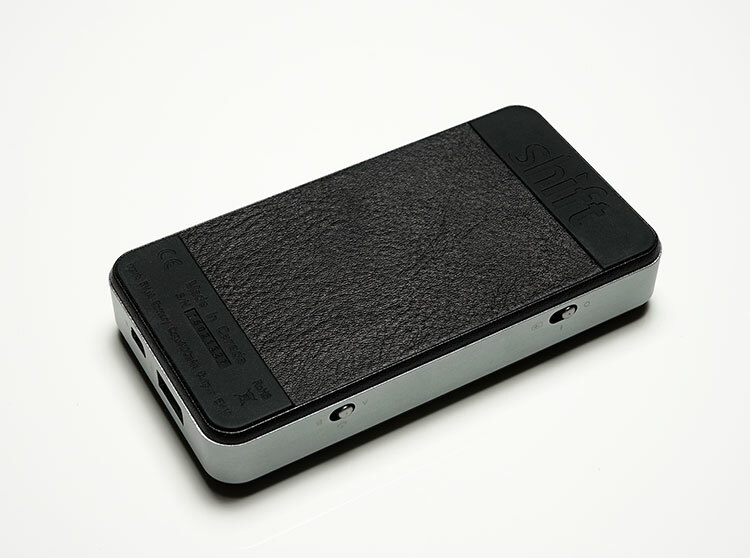 The Shift portable amp/DAC is not only Peachtree’s answer to this shift in technology use in 2015 and 2016 but probably a must for the brand in terms of getting some breakout recognition to an entirely new demographic. The Shift has similar dimensions to the Celsus Companion One (127 x 67 x 24mm) and whilst it is not as slim as say the Oppo’s HA-2 it’s relatively svelte in girth, has a similar look and about the same footprint as the iPhone 5. It is very similar in weight to the HA-2 also at just 184g compared to 175g but weirdly, on initial handling, the Shift felt the lighter of the two. It also makes perfect stacking for the latest iTouch 6th gen in terms of dimensions. The Shift casing is made from aluminum with actual cowhide leather (Canadian cows I am reliably informed) on a slightly convex top and a flat bottom. The bottom itself is finished with two rubber strips at both ends for desktop or stacking grip and displays the serial number and Made in Canada moniker on the bottom and the name Shift at the top. It’s a welcome change from the usual blister strip of rubber feet you stick on other amps. The rubber is plenty grippy and absorbent on all but the shiniest and smoothest of surfaces. I do have a slight issue with the raised top plate of the Shift for stacking which is the natural place for your source of choice. That little-raised center area does mean it’s not a flush fit for say an iPhone or Samsung giving it slightly unsteady nature, though better for the smaller iTouch. Straps would be required for stacking purposes and curiously the Shift does not come with any bands to do that. The aluminum sides are 24mm tall which is double the width of the HA-2 and houses the functional switches, LED’s inputs and outputs of the Shift. To the rear, you have a dual mini USB and USB-B input which allows the Shift to receive signal and act as a DAC but also to facilitate charging via the sliding power switch houses on the top of the right panel. Electing to use one or the other USB socket at the back is controlled by a small switch to the rear right panel. The mini USB is primarily used to charge the Shift but it also works fine as your signal input for DAC functionality out of a PC or Mac. Ultimately it depends on the cable choice you have. 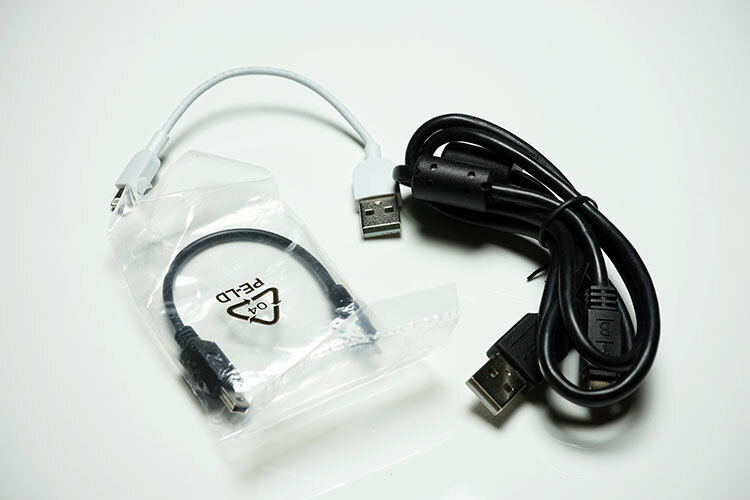 If you are using primarily the supplied accessories in the Shift box then it does come with a USB A to USB B regular cable for DAC functionality. On the right panel, there are a further two control switches. The first, at the rear, controls whether you want a line out signal or a pure headphone signal and the second controls gain levels (low/high). The front panel has a single 3.5mm output jack flanked by a small LED light either side which indicated charge and charging levels as well as the format of the signal being outputted and the sampling rate. A blue LED denotes 44.1, light blue 88.2, white iS PCM up to 384kHZ and Magenta will indicate DSD up to 5.2MHz. You can switch the output jack also from headphone to line out. Thankfully for charging purposes it is not a simple green then red alert, the Shift does actually have different colors indicating battery strength at varying levels. Green does denote a full charge with yellow all the way down to 50% then varying speeds of blinking red to denote a drawdown sub 50% to zero. One big plus point for the Shift is the size of that battery and what you can do with it. The Shift packs at 4800mAh battery in there also which duals as a portable battery pack as well as offering up to 8 hours playback time. So what is the obvious elephant in the room that is missing from the Shift front panel? That’s right, a dedicated onboard digital or analog volume control or pot. The Shift volume is controlled primarily through your source be it PC or DAP or smartphone via a microprocessor driven analog volume control circuit. Peachtree’s reasoning for this is that they see the ability to get unity gain from two different volume controls as practically impossible and decided to opt for gain control from the source instead. I do appreciate that this can have benefits with stacking, having all your controls in one area on your source right above the Shift but a dedicated volume pot feels like I have more control over my playback at a micro level and avoids accidental high volume mishaps when switching from source to source. The Shift is packing a Sabre ESS ES9010-K2M with what I presume to be an XMOS USB chip implementation. Quite a lot of the audiophile grade portable DAC products on the market today come equipped with the 9010K2M including the Resonessence Labs Herus and the NuPrime uDSD. Now although the 9010-K2M is a step down from the HA-2 ES9018-K2M chip it nevertheless has an impressive and very capable level of decoding all the way up to and including 32-bit/384kHz PCM and 5.6MHz Direct Stream Digital (aka double-rate DSD or DSD128). That is only a single step lower than the DSD256 capability of the HA-2 and, to be honest, we not yet reached mass-consumption of DSD128 nevermind DSD256 so it’s unlikely you will need that reach. It would be nice for future proofing if this is a long term investment but right now it is just bragging rights. Just one small observation and it’s the mDSD from Sonic Unity at $99. A lot less functionality but the same chip and DSD256 capability. It would be interesting to see if a firmware upgrade would unlock the DAC’s potential somewhere down the line. The Shifts output impedance sits at 1 ohm with a power rating of 230mW into 16 ohms, 220mW into 32 ohms and 65mW into 300 ohms. That’s double the output to harder to drive headphones than the Oppo HA-2 which tops out at 35mW into 300 ohms. Line out voltage is also a healthy 1.8Vrms compared to the HA-2’s measlier 0.98Vrms. 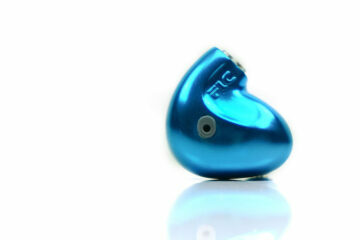 The 1-ohm output impedance of the Shift is right on the fence for sensitive IEMs but you shouldn’t hear any noise. Rather it will come down to tonal and power matching for the best setup. 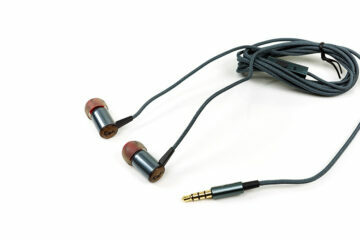 Portable headphones should be well within reach of the Shift’s amping capabilities also and possibly some bigger cans. No portable amp/DAC these days is complete without some sort of iOS and OTG capability and the Shift has them both and no CKK kit required also for iOS connectivity which is great. The Shift comes with a short USB to lightning connector and an equally short mini-USB to micro-USB OTG cable for Android. You just simply plug and play into the iDevice (5th gen upwards) or Android platform of your choice (so long as its digital audio capable) and play. I am a sucker for a nice case and the Shift is no exception. 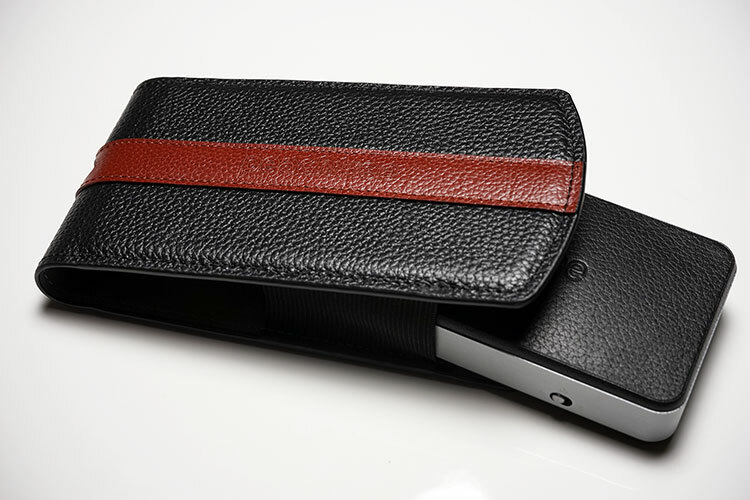 It comes with a large leather expandable wallet style case that allows not only the Shift but also the source of your choice within reason. I could fit both it and the X7 in there though its portability is a topic for debate. It does have a small gap at the front which allows you to plug your headphones or earphones directly into the Shift minimizing the need to take out the Shift for anything other than source changing. Aside from the classy case Peachtree have bundled the aforementioned short Android and lightning USB cable connectors and a longer standard USB cable as well as a very handy user guide to help you get up and running with the Shift. You need to read the manual, trust me. It is not as complicated as the Celsus Companion One but the icons on the Shift denoting what each switch does are a little offbeat. Shift was made for iPhone. Whatever your cans, pair the Shift with an Audioquest lightning to USB A cable. The Cinnamon is sublime, however the Carbon is other worldly. You can thank me later. Yes, The DF is really nice, however you’d need to go through a camera kit (adapter), it won’t charge while you’re listening nor does it have DyNec which eliminates any power-supply or screen refresh noise. That’s why Marcus was surprised with the lack of noise. Really a fairly different product. But we all still love us some DragonFly! The Audioquest Dragonflies are worthy of consideration at this level.